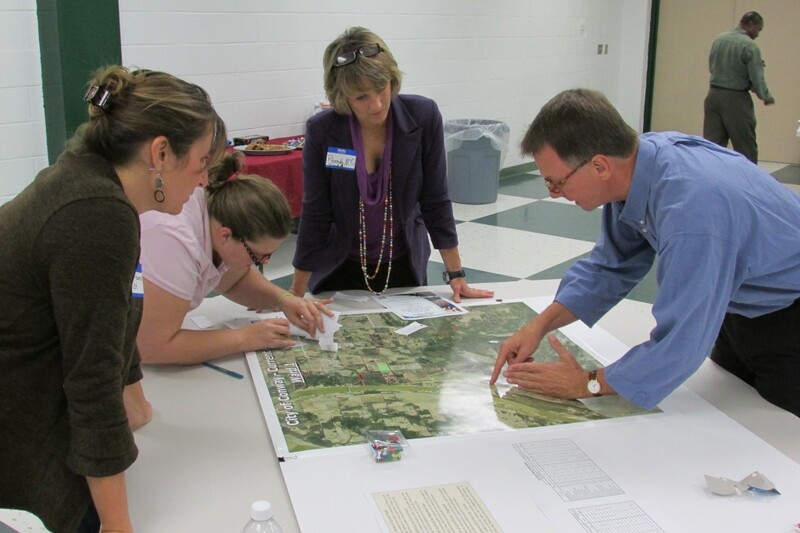 The interdisciplinary PhD in Leadership Studies faculty and students, along with faculty and students from the UCA Geography and Environmental Sciences programs, as well as City of Conway staff took part in a research and planning project for the City of Conway parks. 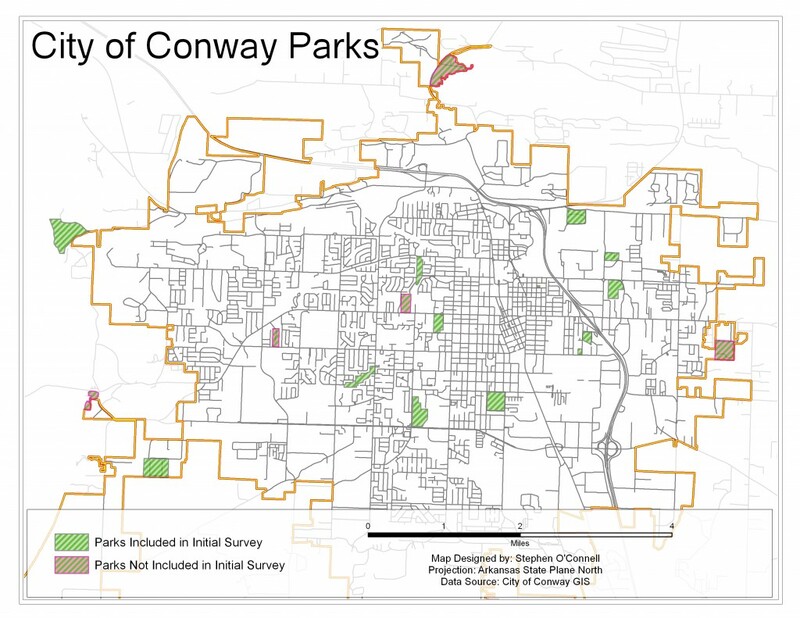 The project was funded in part through a Metroplan Minigrant awarded to UCA for the development of a master plan for parks and recreation facilities in the City of Conway. 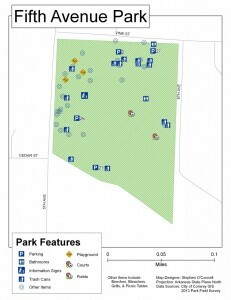 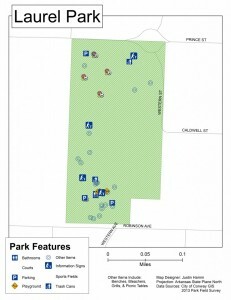 Collection and analysis of data on the existing parks system, including amenities within the parks, park usage in differing City Wards, and connectivity between the park locations began in January 2013. 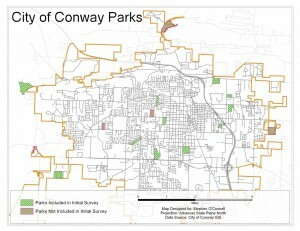 Preliminary findings were presented to Conway City Board and interested public on September 24, 2013. 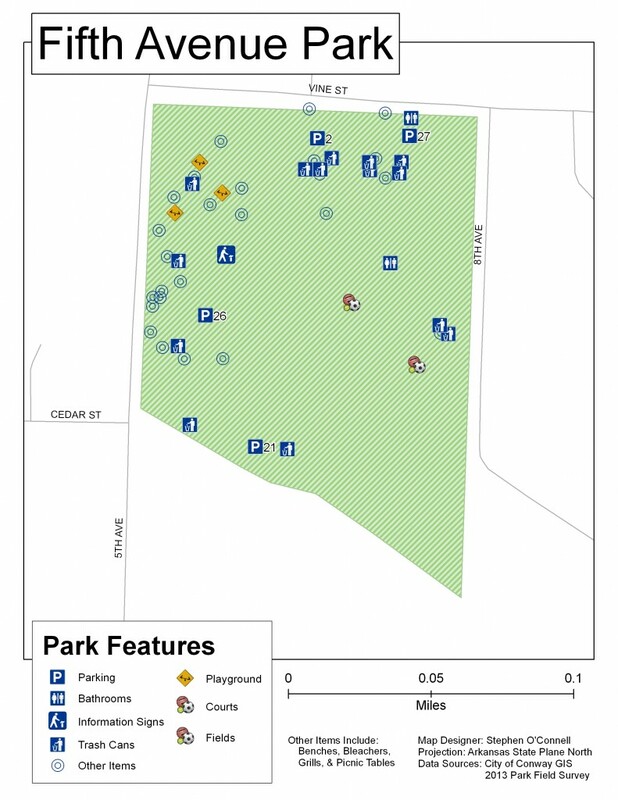 Three town hall meetings were held in October of 2013 to discuss their findings and gather additional data on park usage and the public’s input on future park development. 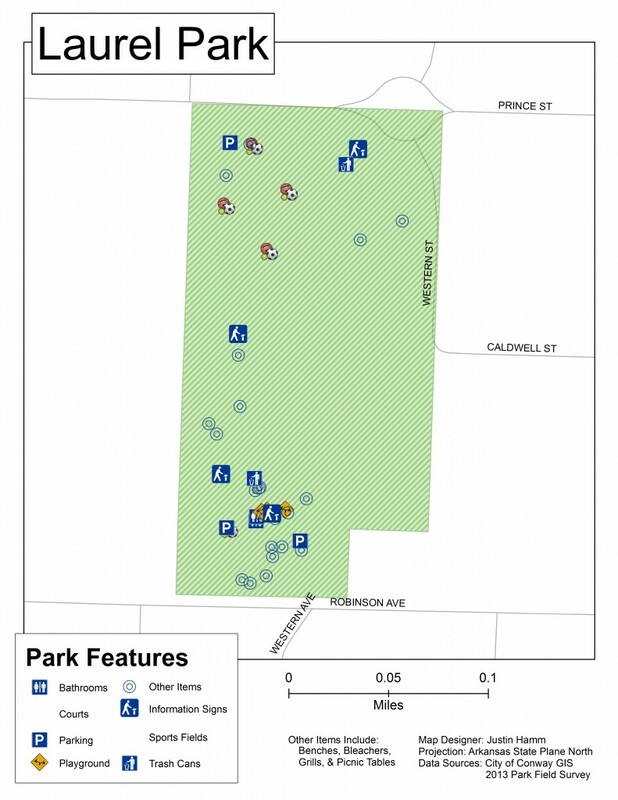 The study was completed in 2014 and the final report was presented to city council in February of 2015.